This confit pollock recipe from Nigel Mendham makes a scintilating starter to serve up for the most extravagant of dinner parties. 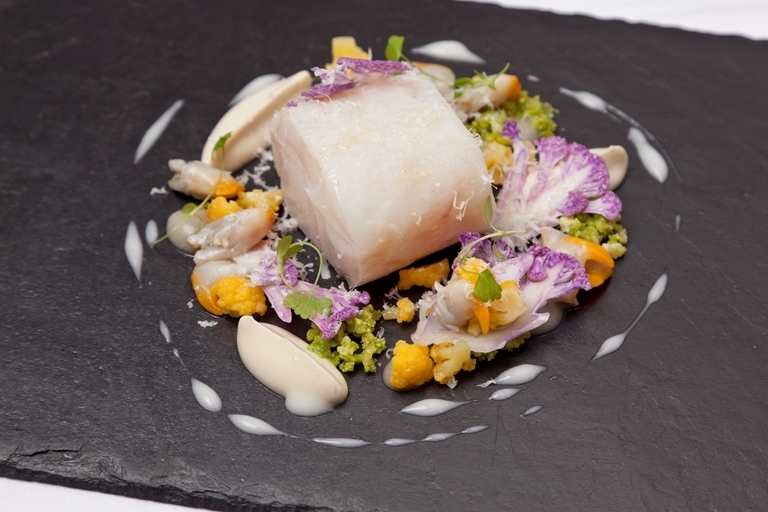 He cooks the pollock sous vide to help the fish hold its shape and texture. If the use of three cauliflowers seems a little excessive you can just use one regular cauliflower instead - though you won't get the same depth of flavour or colour. Nigel Mendham has proved himself to be as adaptable as he is talented, prospering in restaurants all over Britain and winning great acclaim for his deftly classical cuisine.